Dhaka, 6 October, Abnews: Amid unchecked discharge of dust from construction work, rundown roads and many other sources, environment and health experts have said the city dwellers have to brace for a terrible dust pollution in the capital in the upcoming winter if proper steps are not taken to deal with it. They said this is no longer an environmental issue as it is going to emerge as a major public health concern. They suggested the authorities concerned, including the Department of Environment (DoE), to take an effective action plan and strengthen its monitoring system to reduce the dust pollution across the city. 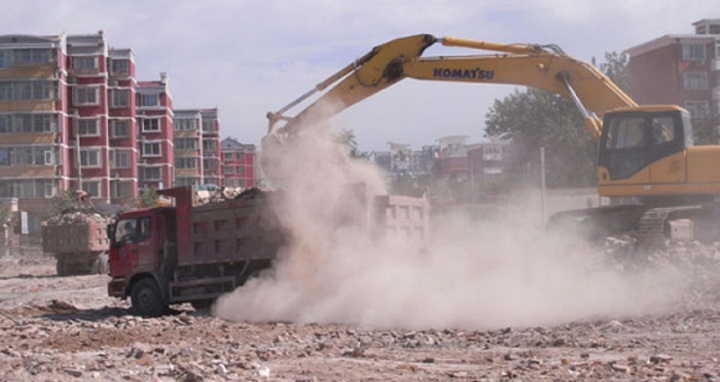 While moving in different city areas recently, the UNB correspondents found dust was swirling everywhere due to unplanned construction of buildings and roads and footpaths and the absence of monitoring and enforcement of laws. DoE officials said they will soon hold meetings with relevant departments and agencies to reduce dust pollution with coordinated efforts. According to a report of World Health Organisation (WHO) released in May this year, Dhaka’s air quality ranked as the third most polluted in the world. Another WHO report, published in 2016, says over 37,000 Bangladeshis die annually from diseases related to air pollution. He said it is possible to control the air pollution, mainly the unusual growth of dust, if the authorities concerned play their due role in a coordinated way. The environment expert said the government needs to take quick measures to check pollution by brick kilns, vehicles and road and building construction. Besides, he said, relevant laws should be enforced strictly to force the builders and constructors to build roads and buildings following rules and regulations like covering construction sites and spraying water to control dust. He said the situation will worsen further during the dry season -- from mid-October to March -- for inadequate rainfall. “As the government’s development activities marked a sharp rise, pollution also got increased. We’re not against development, but it has to be done protecting the environment,” Matin observed. Matin suggested using modern techniques for cleaning up the city roads, spraying water to stop dust from spreading during construction works and keeping construction materials and sites under cover with the enforcement of law and proper monitoring. DoE Director (Air Quality Management) Ziaul Haque said five major reasons are behind the worsening air pollution -- brick kiln, construction, road digging, building construction, black smoke of vehicles, and waste and cement. He said they have sent a letter to different agencies and bodies, including Rajuk, two city corporations, LGED, Public Works department, Housing authorities, Titas Gas and Real Estate and Housing Association of Bangladesh (Rehab) to sign deals with builders and constructors to prevent dust pollution during the construction of building, roads and implementing other development projects. The DoE director said a coordinated effort by all the relevant department and agencies is a must to ensure proper monitoring and take effective steps and their implementation to reduce dust pollution. Contacted, Environment and Forest Minister Anisul Islam Mahmud said they are working out various legal steps and plans to check air pollution caused by building and road constructions during the dry season.